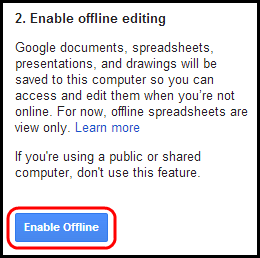 Offline editing for Google Drive allows you to edit your Google documents, spreadsheets, and drawings without internet access using Google Chrome. Only one Google account can be configured for offline editing for each Google Chrome profile -- so if you have previously enabled offline editing for another account, you will need to create a new profile within Google Chrome. To enable offline editing for UW-Madison G Suite , see instructions below. 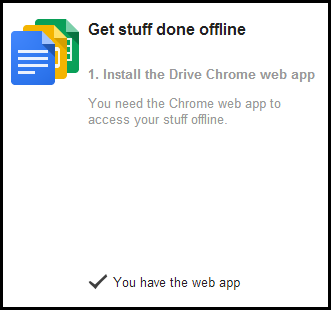 Log in to your personal account and repeat the steps above, then install the Drive Chrome web app when prompted. 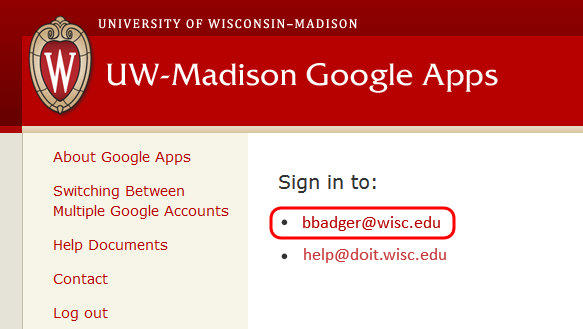 After the installation is complete, you will need to log out of your personal account and log back into you UW-Madison G Suite account. Then continue with instructions below. Offline editing is now enabled for you account. 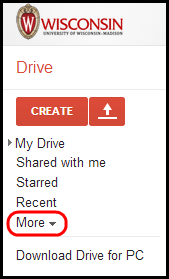 You can now access your Google documents, spreadsheets, presentations, and drawings offline using Google Chrome.